Anyway…this weekend there are a lot of fun activities to check out. 1. Chill at Queen Mary opened up right before Thanksgiving, but its definitely something you have to see. There is an ice skating rink, ice tubing, the Ice Kingdom and Santa. The Ice Kingdom is the thing to go for. They hand carve statutes from over two million pounds of ice to portray the story of The Nutcracker, this year. You have to bundle up, which is nice for us SoCal kids who don’t get much cold weather (thank god). 4. 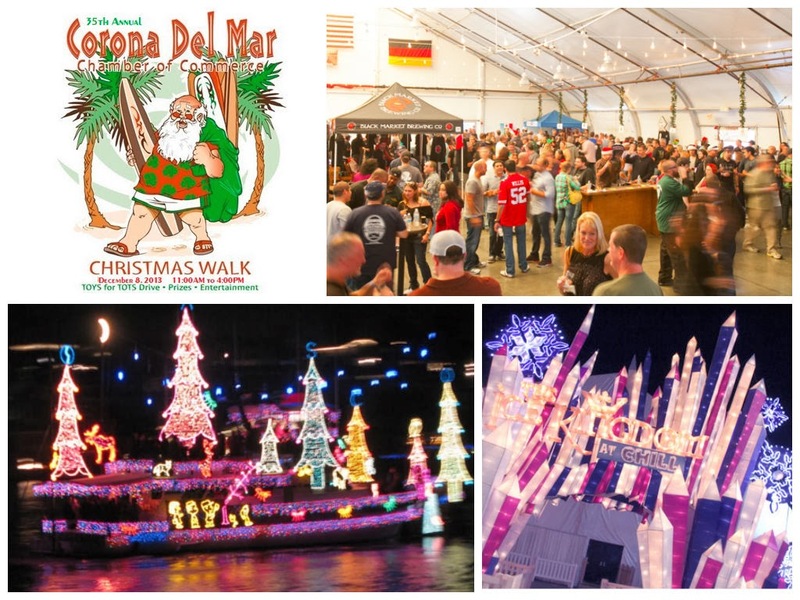 Dana Point Wharf is having their annual boat parade this weekend. Private boats are decorated for your viewing pleasure and cruise around the harbor. Go down to the wharf yourself or hop aboard one of the city’s chartered boats to get up close and personal. Make sure you keep warm with some hot chocolate because its going to be a “cold” weekend out on the water!